The sudden spurt in interest in the cryptocurrency signals a bubble in the making, but financial markets drunk on speculative profits continue to fuel the frenzy around it. Bitcoin has left the world of finance gasping. Although the total market value of all that cryptocurrency in circulation is only a fraction of the value of the world’s financial assets, the rapid rise in the value of the currency has made it the most wanted of those assets. On January 1, 2017, the currency was trading between $972 and $990 a unit. By December 7, it was trading between $14,063 and $17,363. According to a calculation by Reuters, an investment of $1,000 in bitcoins at the beginning of 2013 would be worth around $1.2 million now. Sensing the opportunity this offers by serving as a platform for speculation, the Chicago Board Options Exchange and Chicago Mercantile Exchange launched bitcoin futures on December 10, with the contracts opening at $15,460 a unit and rising more than 20 per cent to $18,700, before shedding some of those gains. With these developments, a shadowy currency with a still-elusive originator named Satoshi Nakamoto took centre stage in financial markets. Launched in 2009, the role of bitcoin has always been in question. What its advocates regard as its strength—decentralised management by a community that can ensure integrity through verification of transactions over a “public”, peer-to-peer network—many of its critics see as its weakness because there is neither an issuing authority in the form of a central bank nor the backing of a state. 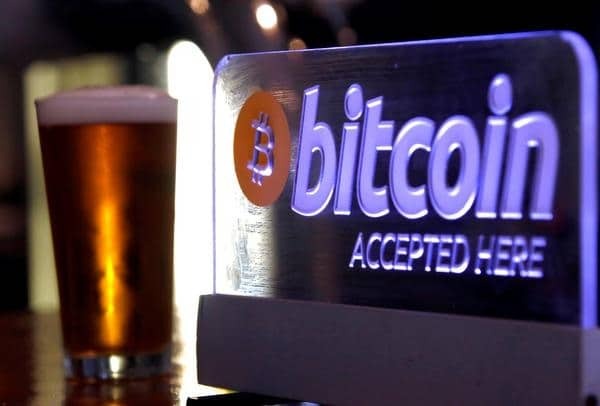 Moreover, while there are a few establishments that accept bitcoin payments, the currency is still nowhere a ubiquitous means of payment in day-to-day exchange and commodity circulation. At the end of 2013, researchers from the University of San Diego and George Mason University estimated that 64 per cent of the 12 million bitcoins that had been mined until then had not been used in an exchange transaction. One advantage of the currency is that transactions involving movements of large volumes of money across space and borders can be conducted without revealing the identity of the transactor. Not surprisingly, criminals of various kinds have been using the currency to transfer funds. For example, demand for bitcoins initially rose because drug dealers were making payments with the currency on the Silk Road website. Since then there have been many reports about the links between illegal activities and the bitcoin market. A high-profile example is Alexander Vinnik, who was arrested in Greece in July this year. He is accused by the United States Ministry of Justice of laundering more than $4 billion, derived from activities suspected to be illegal, using the bitcoin exchange BTC-e that he was allegedly running. Most miners or buyers of bitcoins are looking to gain from appreciation in its value as the currency is adopted more widely. If indeed the currency is widely adopted, its price is bound to rise because there is a limit on the number of bitcoins that can be put into circulation. Bitcoins are “mined” by players by solving complex mathematical puzzles that require combining guesses with running algorithms. Each step creates a block of transactions linked or chained to the puzzle in the previous block—hence the term “blockchain”. When the puzzle is solved the miner is rewarded with an allocation of bitcoins. However, the process of generating new bitcoins is planned and the total volume to be generated is capped. The cap is 21 million bitcoins and the pace of their generation is adjusted downwards so that the cap is reached only in 2140. As of now, around 16.7 million bitcoins have been released. Since it is a store of value, there is no reason why anybody “earning” bitcoins by sale of a good or service must spend that money immediately. So, as GDP increases and the volume of transactions expands, the volume of currency in circulation must increase. The fact that this is not expected to happen with bitcoin implies that its creators assume that a combination of increase in value and the easy “divisibility” of a digital currency would solve the problem. The fact that only a limited amount of the cryptocurrency is available indicates that if demand for the currency increases for some reason, such as it being an alternative store of value to money and financial assets of various degrees of liquidity, then its price determined by auctions in bitcoin exchanges would rise to accommodate the value being demanded. When the value of the currency appreciates, investors looking for capital gains will join the game, and prices can spiral. Interestingly, bitcoin was launched at the time of the global financial crisis in 2008-09, when the value of most financial assets and even of others like real estate had fallen sharply. Simultaneously, central banks in the U.S., the United Kingdom and subsequently Europe resorted to a policy of quantitative easing to save banks and financial firms. This involved buying up financial assets to inject large volumes of cheap liquidity into the system. Since 2008, the U.S. Federal Reserve has bought bonds worth around $4 trillion. The Bank of England, the Bank of Japan and the European Central Bank followed. All told, six central banks that opted for this policy now hold four times as much assets on their balance sheets as they did before the crisis. With interest rates too at long-term lows, this liquidity has found its way into speculative investments in asset markets, resulting in asset price inflation that has been troubling institutions like the Bank of International Settlements. In a speculative environment like this, financial institutions, fearing that traditional markets are saturated, are always looking for alternative assets. Even an asset like gold, the price of which rose sharply over the decade starting 2001, has been losing its sheen in recent years. In itself there was no reason to expect that bitcoin would emerge as an alternative asset, since there was nothing endowing it with value other than the state of demand relative to the limited quantity being put into the market. So long as that demand was restricted to those from the “bitcoin community”, the virtual currency had little value in terms of real currency. Moreover, safety is by no means ensured. According to reports, more than 980,000 bitcoins have been stolen from exchanges, a stark example being the hacking of the mining exchange NiceHash in early December 2017, through which around 4,700 bitcoins worth around $70 million were stolen and transferred to a mystery account. Despite such developments, over time small increases in demand were enough to keep bitcoin prices rising. Those price increases attracted new investors, and in keeping with the tendency to run with the herd that is typical of financial investors, demand soared and so did prices. Bitcoin has suddenly become the much-discussed, or even the most-discussed, of all new assets in the market. That is surprising given the size of the bitcoin business. According to estimates, despite the spike in prices the total value of the bitcoin “market” is around $270-280 billion, which is just a fraction of that of traditional financial assets. Moreover, the bitcoin shortage means that if investors hold on to the available currency in the hope that prices would rise further, trading in the market would be limited. It is the recognition of this that is triggering the launch of bitcoin-based securities so that there is more space for speculative bets to be placed, especially by new investors. To spur the futures markets, “analysts” are predicting that the value of the currency could touch $50,000 or even $100,000 a piece. This frenzy says more about the financial markets these days than it does about bitcoin. Commentators, ranging from Nobel Prize winners in Economics to so-called financial market leaders, have described the goings-on as a bubble. Yet the cryptocurrency has become an instrument for an industry that remains drunk on speculative profits despite the 2008 financial crisis. Whether this was planned or is accidental is, however, not clear.